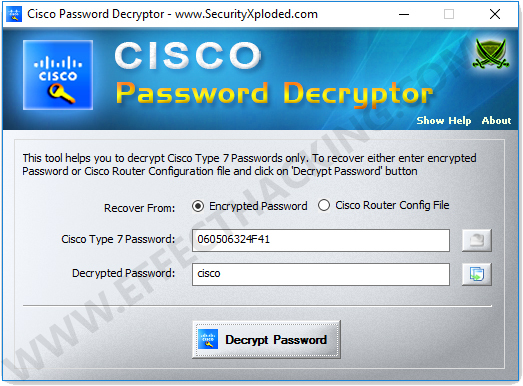 Cisco Password Decryptor is a free program that can instantly recover Cisco Type 7 router password. 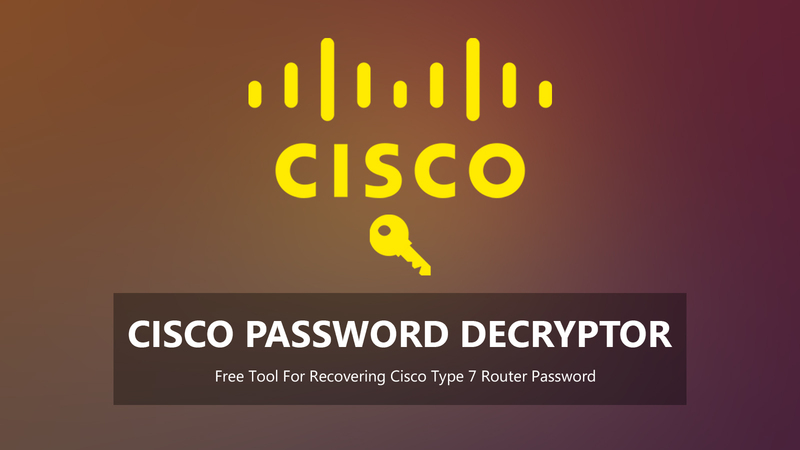 It supports two modes of password recovery, you can either enter the encrypted Cisco Type 7 password directly or specify the Cisco configuration file. This software works on both 32-bit & 64-bit Windows systems starting from Windows XP to Windows 10. 1. Download and install Cisco Password Decryptor on your computer (download link is at the end of this article). Then launch the program, you will see a window as shown below. 2. Select a Recover method, then configure the process, and then click on the "Decrypt Password" button. The password will appear in the "Decrypted Password" box.